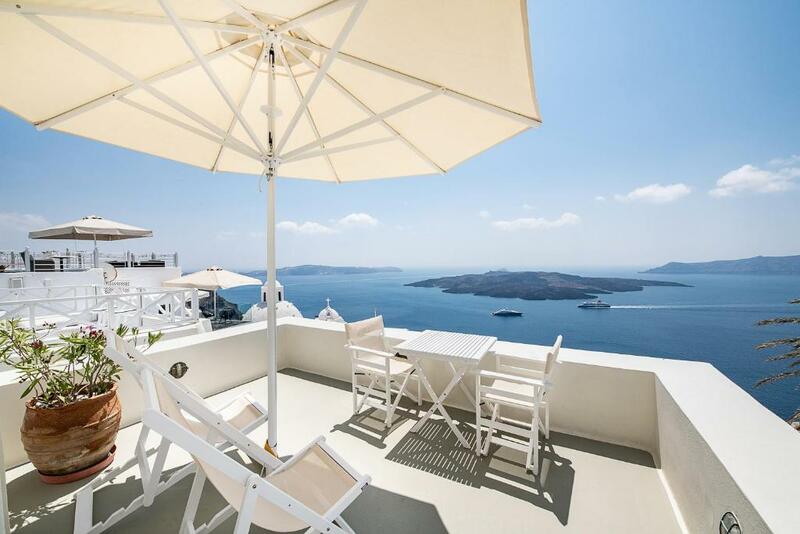 Great location in the center of Fira with view of the caldera and the sea. Generous breakfast with plenty of choices and plenty of food, served at the time of your choice, either in suite or on a terrace overlooking the sea. Very helpful and friendly staff. The hotel manager Giannis and his staff were exceptional and he made our stay welcoming. Very useful by helping us to call and book for tours and taxis and he made our transition to different places very smooth by advising us what to do and when we should do it. A great working knowledge of the restaurants and the sunsets so we were able to take some amazing photos! Would definitely recommend this place to anyone on their honeymoon! They had a book which told you the best time to view the sunset and he was able to use his connections to make great recommendations with reputable companies that lived up to services which they were offering. We even got a front row seat to a sunset view restaurant in Oia 4 hours before dinner. Very comfortable and beautiful view! We loved the custom breakfast each day. Staff was terrific!! The attentive staff and excellent location. Our room was exactly as advertised-including the fantastic view from our balcony and room. George made sure everything was as expected in every aspect of our stay. He and the other staff made the difference in a very personalized stay. Couldn’t have asked for anything more! Despite being in the heart of Fira, the location was such that you really didn’t hear any street noise. Being right in the heart of everything made it a prime location with access to shops, restaurants and the bus station within easy walking distance. The breakfast prepared to your preferences and brought to your terrace table in the morning was a luxury. Thanks to George for taking care of my special Vegan needs. He made sure everything was to my liking! Highly recommended. Loved - the pool, breakfast, service, view, cleanliness, beds, location. One of the best places we have ever stayed. From the moment we arrived at the airport, Georges and his staff were exceptional. They took care of us as if we were family. Customized breakfast every morning with a view of the Caldera was outstanding. They provided plenty of tips and recommendations and the location cannot be beat. We were a family of four and had a lot of space. 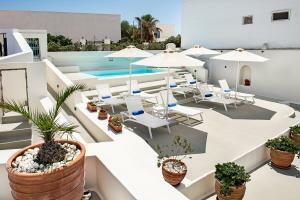 Highly recommend Pantelia Suites - you will not be disappointed!! First and foremost, the staff at Pantelia are amazing. Yannis and George went out of their way to make sure that we had the best time in Santorini, no request was too big or too small. You have to ability to choose a different breakfast each morning and it is served on the patio overlooking the sea. The view is truly breathtaking and the breakfast is tasty. The room was lovely and always cleaned spotless. In addition, the pool was quiet and had plenty of chairs for all of the guests to relax and enjoy the view. Lastly, the location is superb and only a 2 minute walk into the heart of Fira. 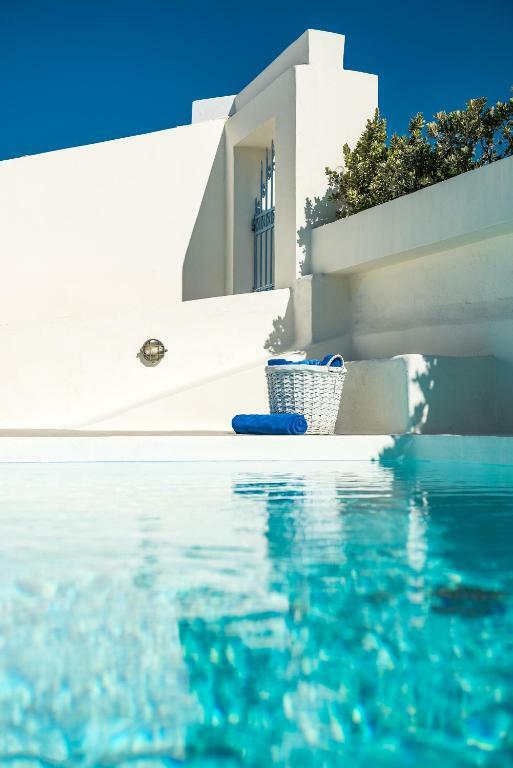 If you are looking for a place to stay in Santorini, look no further! This was an incredibly beautiful hotel with the perfect location. We enjoyed our wonderfully clean suite with 2 bedrooms for our family. The caldera view from our patio was perfect and we felt we were in a luxury hotel the way our breakfast was set up on the patio each morning. 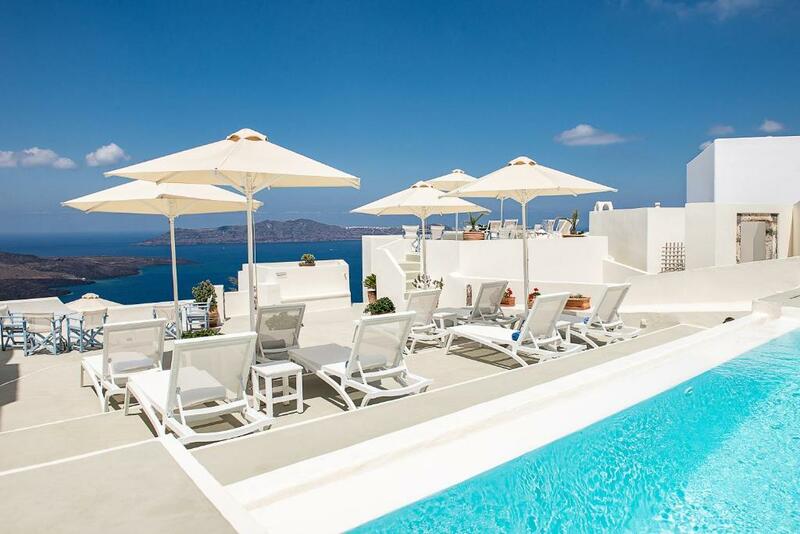 We will absolutely choose this same place if we are lucky enough to get back to Santorini. The view was absolutely breathtaking- simply unbelievable! The staff was incredibly helpful and informative. The location cannot be beat- it was so easy to get everywhere. Overall, the hotel was truly authentic for Santorini. I was a bit concerned when I read we had a “semi private” balcony- the balcony was right outside the room, but you did have to leave the room. But since the hotel only has six suites it felt very private! This also seems to be the case with many Santorini hotels with the best caldera views. We would absolutely stay here again if we returned to the island. The view was exceptional. Also, it was very close to all of the stores, but just far enough away that it was extremely quiet and tranquil. George and Yannis made sure we had everything we needed. We really had a great stay and look forward to returning in the future. Lock in a great price for Pantelia Suites – rated 9.6 by recent guests! 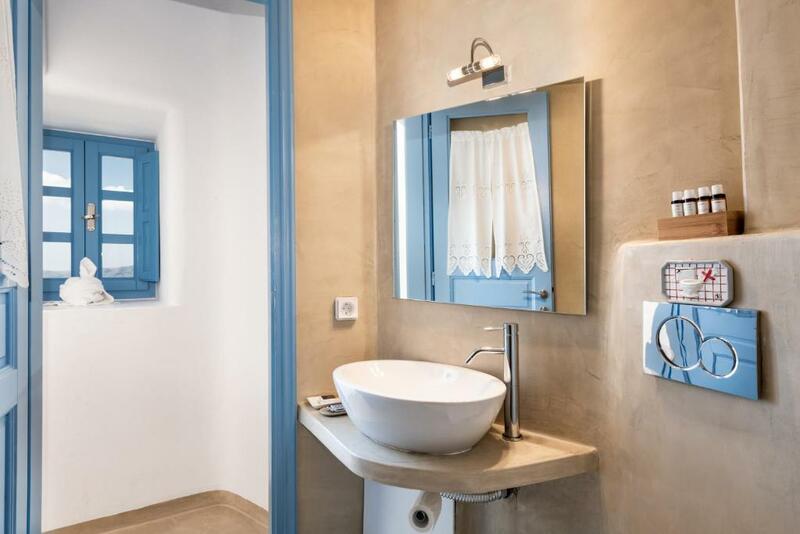 Pantelia Suites This rating is a reflection of how the property compares to the industry standard when it comes to price, facilities and services available. It's based on a self-evaluation by the property. Use this rating to help choose your stay! Pantelia Suites rest in a traditional family house, completely reconstructed into luxury accommodations. In the capital of the island, Fira, on the Caldera cliff side, you can enjoy superb views of the volcano and famous Santorini sunsets. Pantelia Suites are constructed with respect to the traditional architecture of the island. 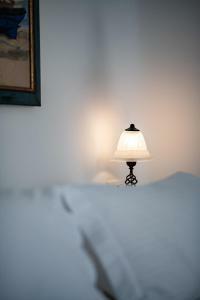 When would you like to stay at Pantelia Suites? 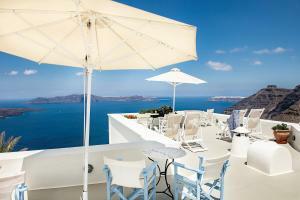 Features separate living room and direct views of the volcano, the caldera and the Aegean Sea. This suite opens to a balcony with panoramic volcano view. It has a dining and a sitting area. Please note that this suite cannot accommodate an extra bed. Opening to a balcony with panoramic volcano view, this suite features 2 bedrooms, one with in-room cabin shower. It also has 2 bathrooms and a sitting area. 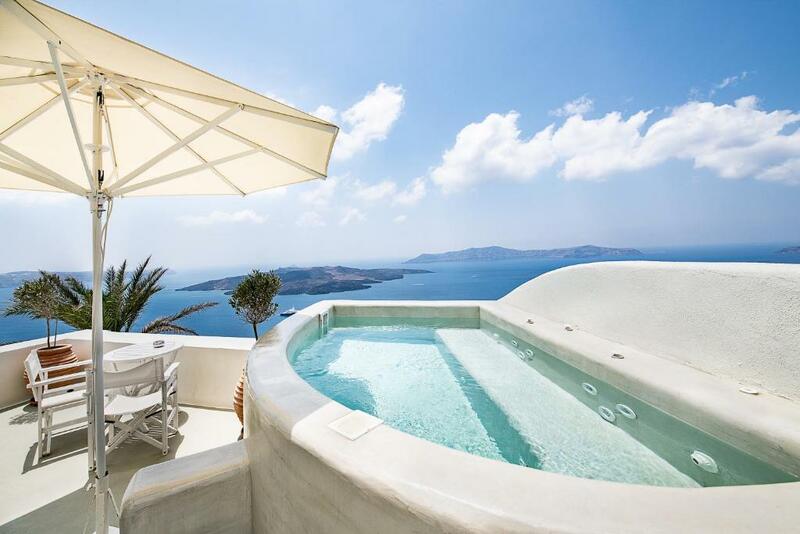 This air-conditioned suite opens to a shared veranda with Caldera view. A satellite TV is available. 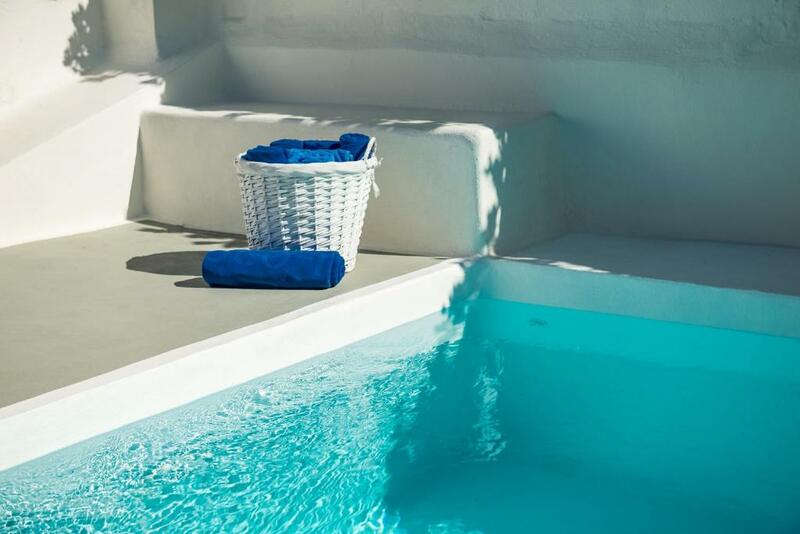 House Rules Pantelia Suites takes special requests – add in the next step! Pantelia Suites accepts these cards and reserves the right to temporarily hold an amount prior to arrival. Please note that the reception opening hours are limited, therefore guests are kindly requested to let Pantelia Suites know their expected arrival time in advance. Please note that for group reservations of more than 3 rooms, different policies and additional supplements may apply. Need to walk uphill from the bus station or taxi dropoff about 200 yards to get to Pantelia. Not too bad if you’re just walking, but if you have heavy luggage, you’d better be in good shape! Santorini in April was windier and chiller than expected but in a pleasant way! The staff at Pantelia Suites were excellent. They all tried their very best to assist in whatever way they could, be it arranging for dinner reservations or taxi booking, they were very prompt and extremely helpful. All the staff were friendly and accommodating. We truly enjoyed our stay in the resort. A special thanks to Giannis! A fantastic beautiful place would not hesitate to recommend to my family and friends. It's a bit difficult to bring luggage to the hotel because it's not accessible by car. Excellent breakfast, attentive staff and superb views. Excellent location and stunning pool. The breakfast was brought to our balcony which was great. An excellent position to face the volcano. What could be more beautiful than watching the sunset in a warm pool. Some of my friends had stayed in this property a couple of years ago so i stayed as well on their recommendation. Unfortunately i was disappointed with the overall experience....i had asked for a specific suite and received confirmation that i would stay in the suite i booked but that wasnt the case. I wonder now if i paid for the suite i booked but was placed in a lower but charged for the better suite...very disappointed....would never stay there again.